Branson on a new mission! Richard Branson is taking part in a new mission to explore the Belize Great Blue Hole! Richard Branson is taking a submarine down the world's largest sinkhole! Global business celebrity and Virgin founder, Sir Richard Branson, is planning on taking part in an expedition down the world's largest sinkhole off the coast called 'The Great Blue Hole'. It is located in the Carribean off the coast of Belize and has made scientists and explorers feel questioned for decades. It is the biggest sinkhole in the world and could swallow two Boeing 747s and still have enough space for more. It was named by marine explorer Jacques Cousteau and it's been a hot spot for divers ever since. Scuba Divers only descend about 130 feet underwater and it is unknown as to what lays underneath it. It is believed that 100,000 years ago, the sinkhole was a network of caves above sea level. Over time, rising sea levels eventually flooded the structure and formed the sinkhole it is today. The expedition will take place in December and Branson will be going right to the bottom of it in order to raise awareness about protecting the sea. He will be joined by Jacques Cousteau's grandson and ocean conservationist, Fabien Cousteau. Sir Richard has described it as a "plenary inner space", whilst the chief pilot said that "One of the most interesting marks that (they) will do is oxygen testing", stating that there is an anoxic layer in the Blue Hole and therefore things will not degrade and there could be preserved life. Branson is hoping that his involvement will help boost awareness and is supporting the goal of protecting over 30% of the sea by 2030. 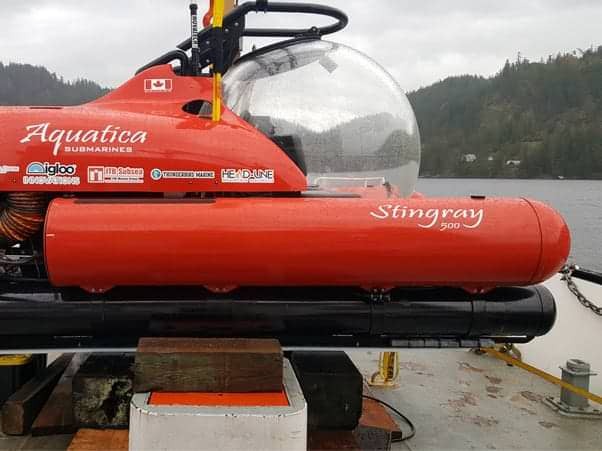 They're planning to take a submarine called the 'Aquatica Stringray 500' (Pictured on the right). is this a feat for the progress of science and ocean conservation? let us know in the comments down below!